The UK Beach Boys were created in early 2002, rehearsing under the watchful eye of Adrian Baker, who was a member of The Beach Boys for 20 Years. He gave them valuable advice to ensure a sound as authentic as possible. That’s probably why, when the UK Beach Boys play live, they sound as close to the original recordings as possible, with no backing tracks or sequencing. The UK Beach Boys were also privileged to be invited to join The Beach Boys on stage at Thetford Forest in 2003, and again at Hyde Park in 2004. The UK Beach Boys play The Apex on Sunday 24 July at 7.30pm. 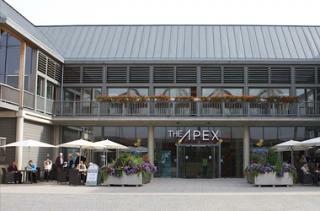 Tickets are £22.50, call the Box Office on 01284 758000, or visit www.theapex.co.uk for more information, or to book your tickets.